When I first saw these new one-cut images from Cricut, I fell in love. 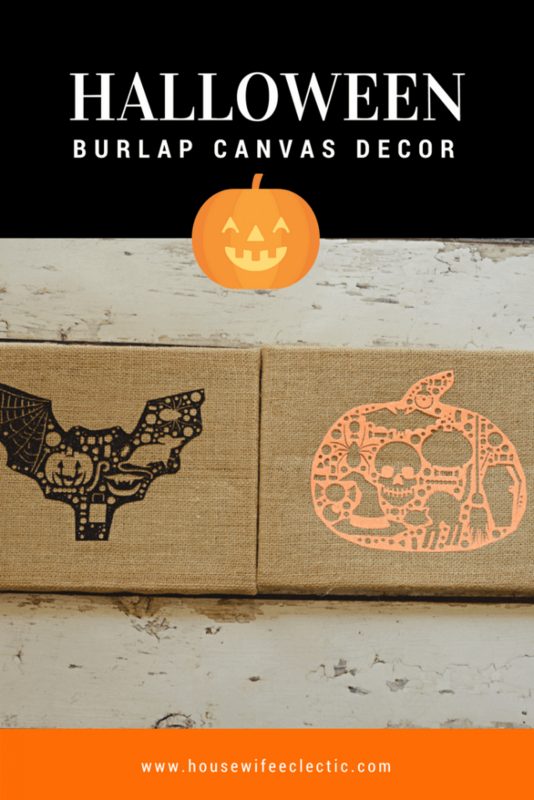 These simple shapes full of all sorts of ghoul-y objects are the perfect way to decorate for Halloween. This project is seriously only a few clicks and a little bit of time weeding! I made these for my mom and she was thrilled with how they turned out! These fantastic one-cut pieces will be the easiest thing you have ever made. Seriously. All you have to do is head over here – https://design.cricut.com/#/design/new/images/cartridge/863857. To find the design you want. 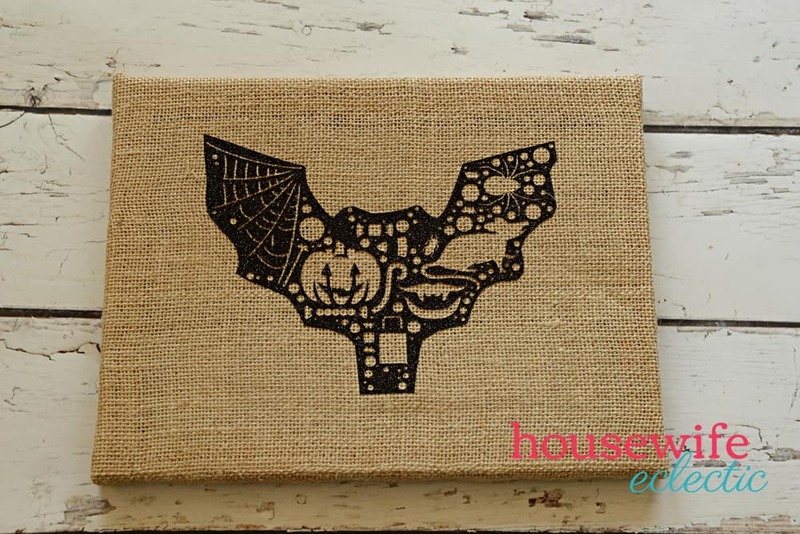 There are three different designs for Halloween, a pumpkin, a bat and a tombstone. Insert the design into your canvas and resize if you so desire. Hit Make it in the top right corner and then mirror the image (since we are using heat transfer). 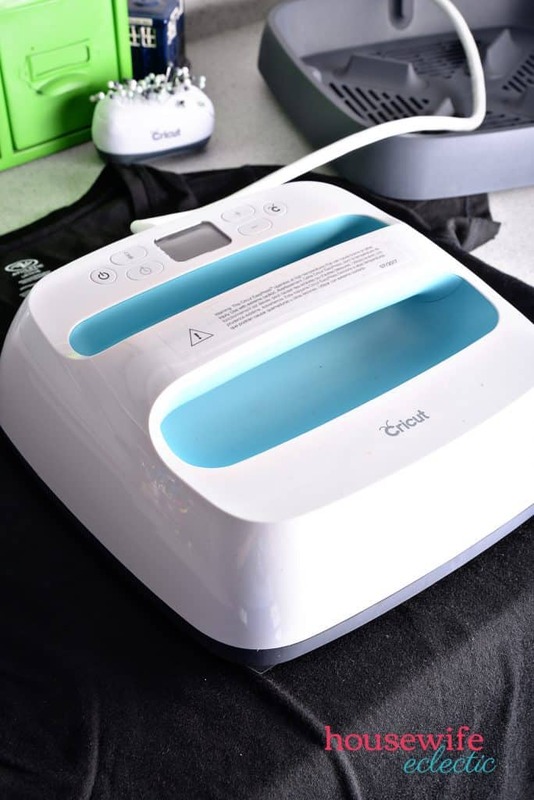 Put the heat transfer on a mat, shiny side down and load it into your machine. 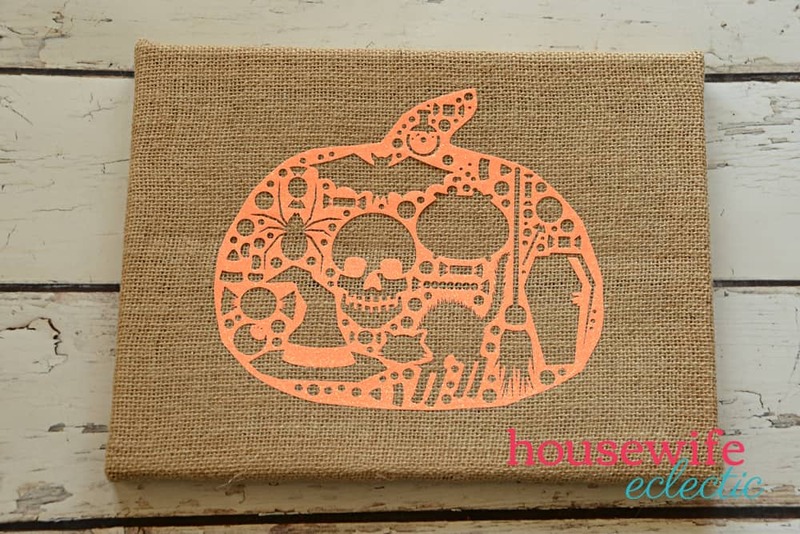 Select glitter iron-on from the materials list and push the flashing Cricut Button. After the machine has cut out the design, weed out the excess. This is where the Bright Pad really helps you see what needs to be weeded out. This one cut project has all of its pieces intact so there are no extra pieces to mess with, just remove the pieces and your design is ready to be ironed on. Set your Easy Press to 305 degrees and then press it on top of the project for 30 seconds. 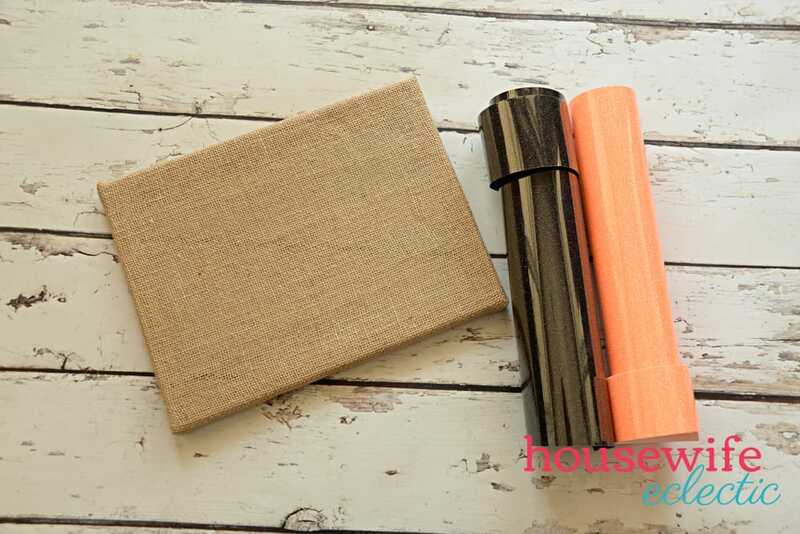 Peel the carrier sheet off the design and your canvas is ready to be hung. Seriously the easiest project ever! I can’t wait to make the Christmas ones! Which ones would you make first? Love this idea a graphic in a graphic!